Moist von Lipwig (Richard Coyle, Lorna Doone) is a con man and a charlatan–and he loves every minute of it. From confidence tricks to far-reaching financial fraud, von Lipwig revels in hoodwinking, fleecing, and otherwise ripping off the citizens of Ankh-Morpork. 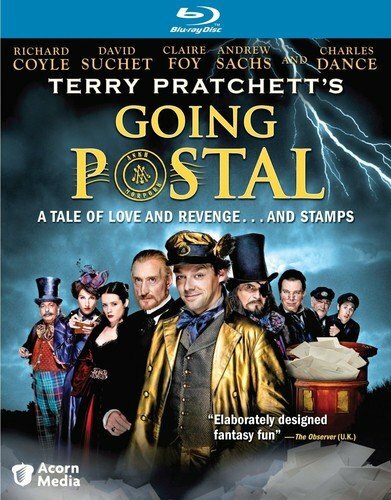 When the law finally catches up to him, the city’s shrewd leader, Lord Vetinari (Charles Dance, Game of Thrones), offers von Lipwig a choice: he can take over the derelict post office . . . or suffer a painful death.